The trucking industry as a whole has gotten very savvy with the way in which it has structured operations in order to limit liability. By hiring independently-contracted drivers, they seek to reduce the chance of a vicarious liability claim for employee negligence. By having separate firms owning the tractors and the trailers, they attempt to shield themselves under the Graves Amendment — federal law written to protect rental car companies from renters’ negligence but which truck companies have used to their advantage. Despite a powerful trucking lobby that actively seeks to erode public safety protections and limit liability, there are still several key laws that hold trucking firms accountable in these instances. One of those is the Federal Motor Carrier Act, under which it states all motor carriers must provide safe and adequate equipment and facilities. Although motor carriers can provide such services through vehicles they do not own under an arrangement with a third-party, the carrier will still remain responsible for making sure there is adequate liability and cargo insurance and for ensuring vehicles are operated according to specified federal safety standards. That means a carrier can potentially be liable for the negligent driving of an independent contractor. In Vargas, plaintiff was one of a two-man team contracted to drive a truck cross-country. Defendant is a federally-licensed motor carrier that operated a shipping distribution center in California. It arranged for customer goods to be transported by hiring contractors who leased their tractors and drivers. Both drivers in this case had been hired by the third-party contractors to make the drive. Just a few hours into the drive, the trucker behind the wheel nodded off, lost control of the truck and caused it to roll over. Plaintiff, who was sleeping in the truck’s berth at the time of the crash, sustained serious injuries. Boston trucking accident attorneys know trucker fatigue is a major and ongoing problem nationally. He later filed a lawsuit against the motor carrier, the other driver and the company that hired him. 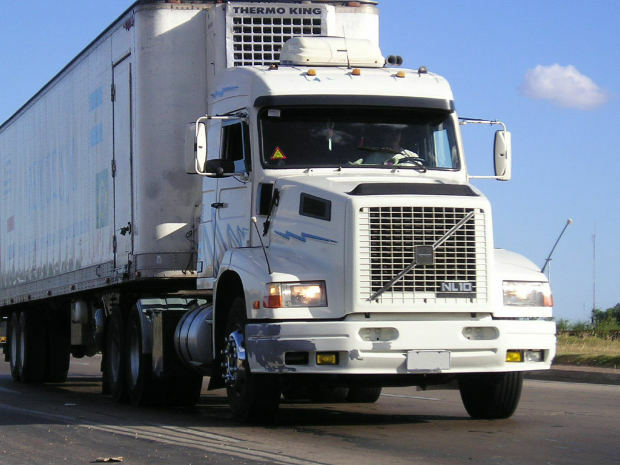 He asserted the motor carrier in particular owed a non-delegable duty to him and other members of the public and was vicariously liable for the driver’s negligence. Per the doctrine of “Placard Liability,” also referred to as “logo liability,” federally-authorized carriers are vicariously liable for the negligence of drivers operating under a lease. Defendant asserted that because plaintiff was an independent contractor, the company did not owe him a duty to ensure a safe work place, and further, it was protected under the Graves Amendment, which abolished vicarious liability for owners of leased vehicles in some circumstances. Trial court granted summary judgment in favor of defendants, but the appellate court reversed. Appellate justices ruled defendants had not established as a matter of law they were entitled to the protections established under Graves or that federal motor carrier law cited by plaintiff was inapplicable.